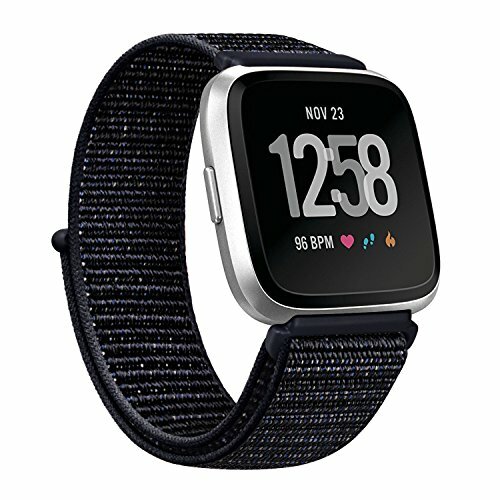 Replacement USB charger Only compatible with Fitbit Versa,not for any other models. 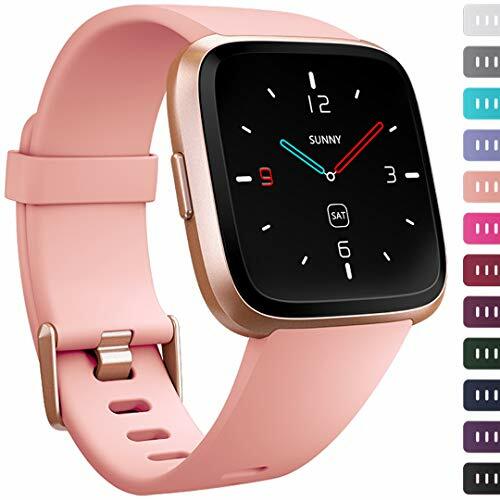 No reset function.Note: Fitbit Versa Fitness Tracker and Band are Not Included. 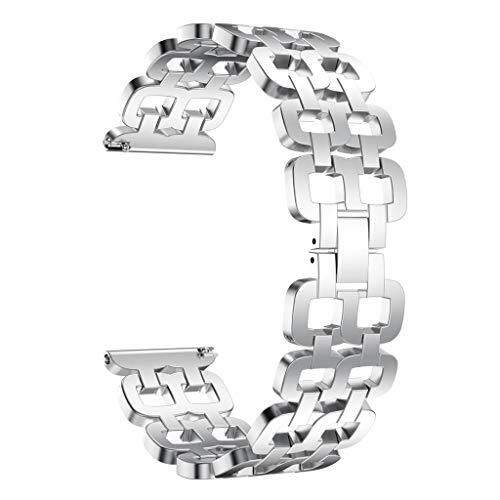 Cable Length:100cm.Extra Long Length For Ample Reach. 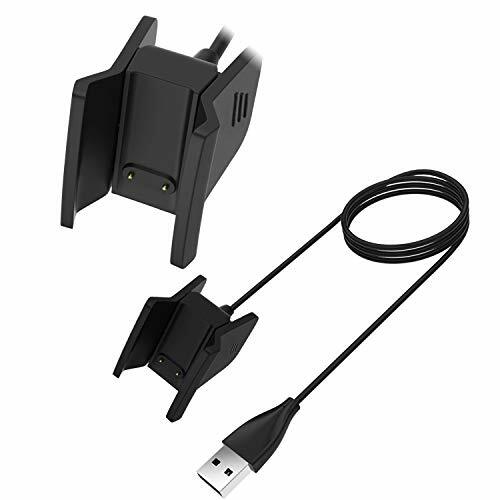 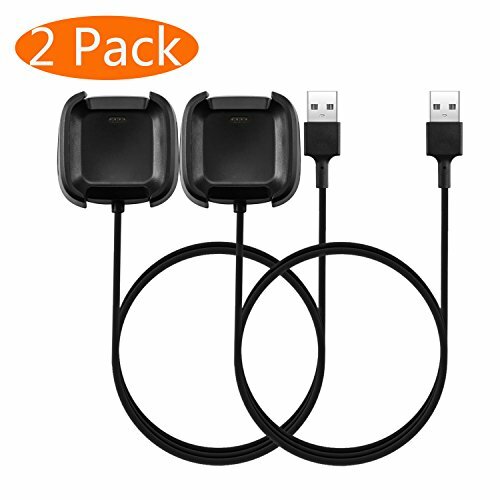 Extra Replacement Charging Cable to Give Your Fitbit Versa Fitness Tracker a Boost in the Office, at Home, in Car or in Travels! 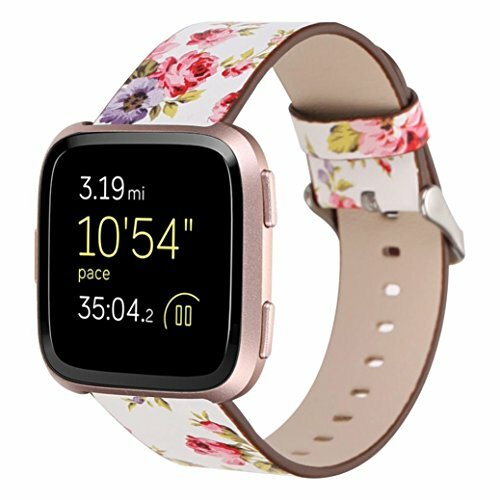 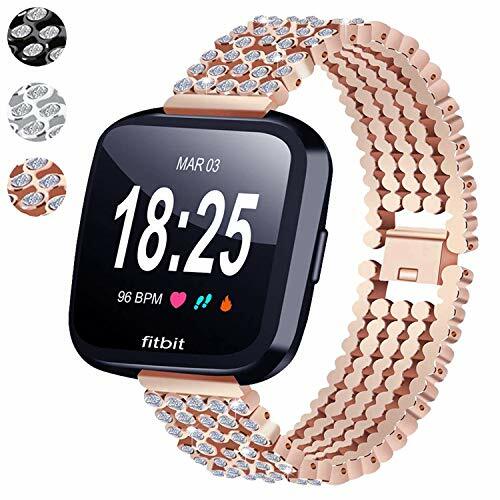 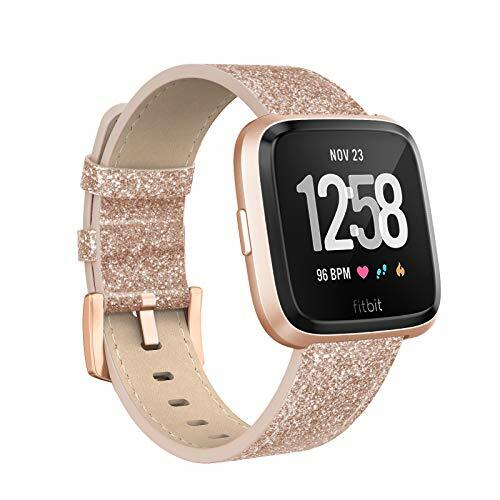 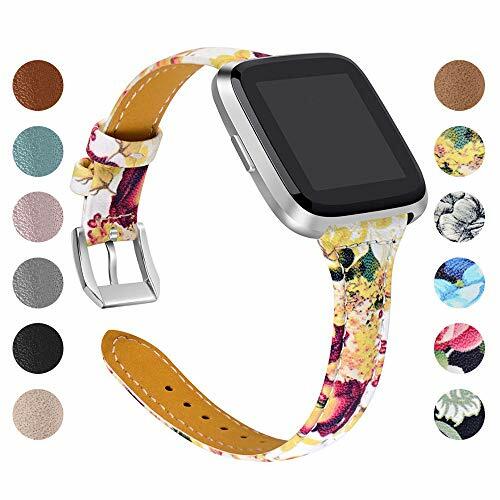 Special streamlined design ensures higher wearing comfort for NEW Fitbit Versa Lite and Fitbit Versa.Elegant and fashionable versa bands will make you more FEMININE and receive more COMPLIMENTS. 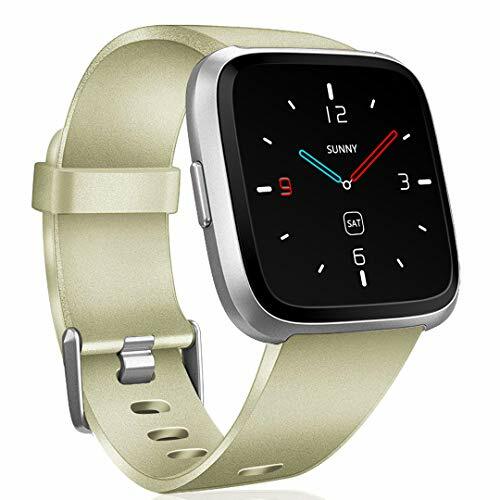 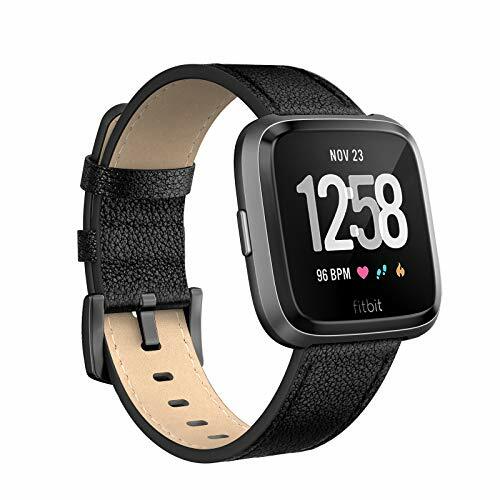 This Fitbit Versa band is made of SOFT TOP GENUINE LEATHER with polished stainless steel buckle. 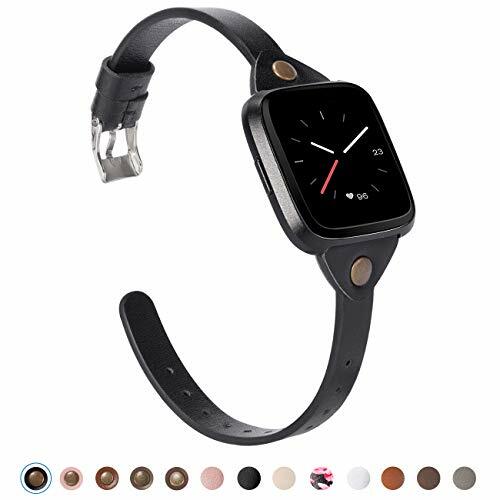 Slim yet durable and supple for all day comfortable from daily work to party. Simplely replace:Quick release pins on both ends you can easily snap on or off your Fitbit Versa bands BY HAND without tool so that it just take less than a minute to replace the band. 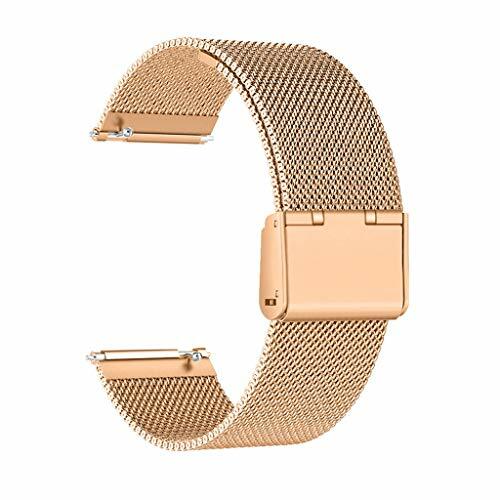 18 MONTHS WARRANTY TIME:Great quality and strong pre-sales, after-sales service team allow us to provide a longer warranty time than others.We also provide life time friendly customer service for your straps. 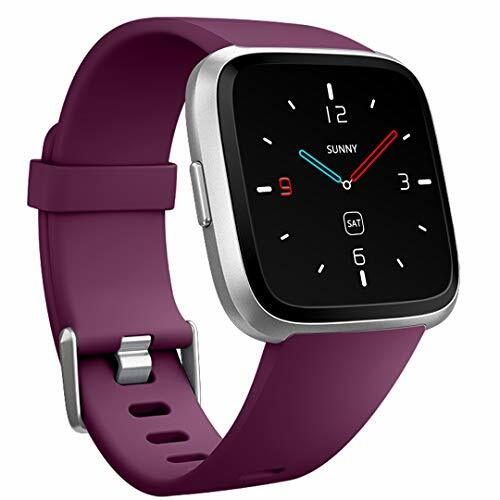 CLASSIC and STYLISH Fitbit Versa bands for women are adjustable to fit wrists 5.5" - 7.8", so it is PERFECT FIT for petite or large wrist. 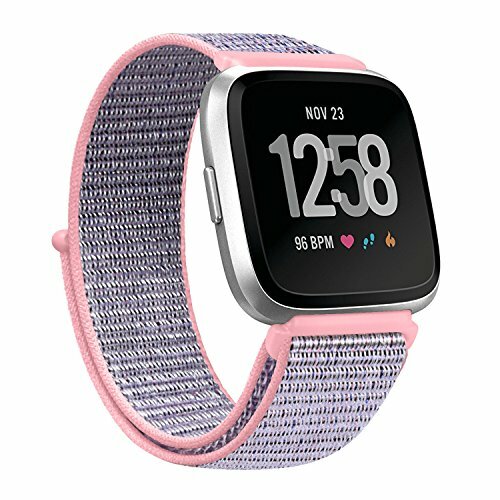 Dress up your Fitbit Versa with different outfits. 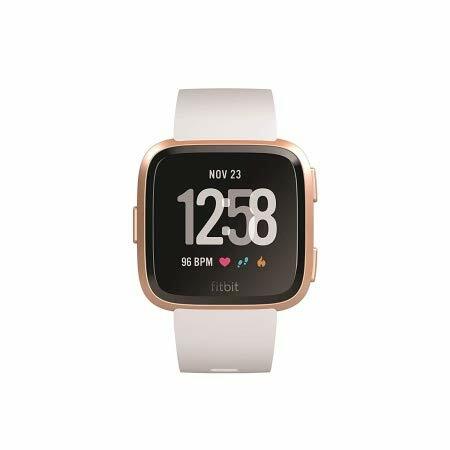 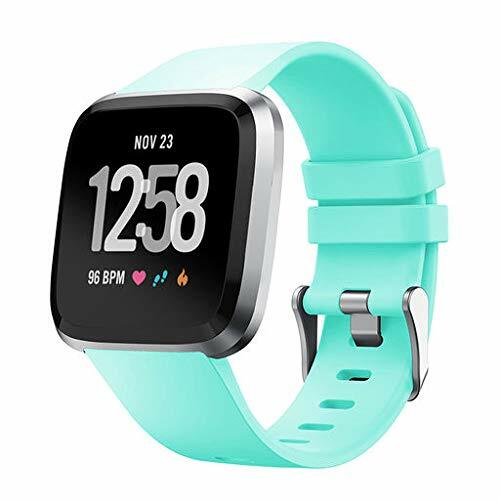 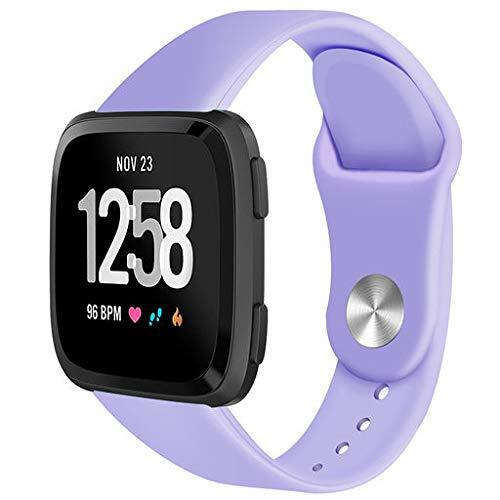 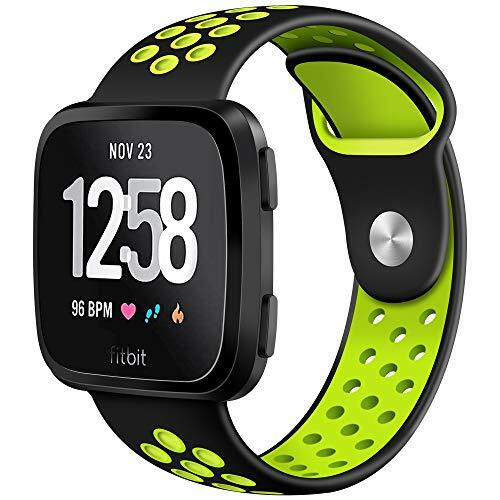 Wear Fitbit Versa your way with this interchangeable band in two-tone silicone,fits wrist length 5.5"-7.0"(140mm-175mm). 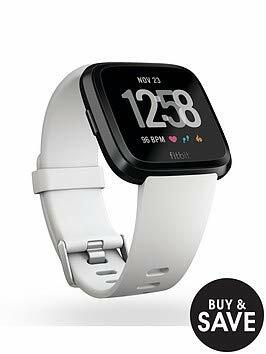 Lifetime warranty is on this product. 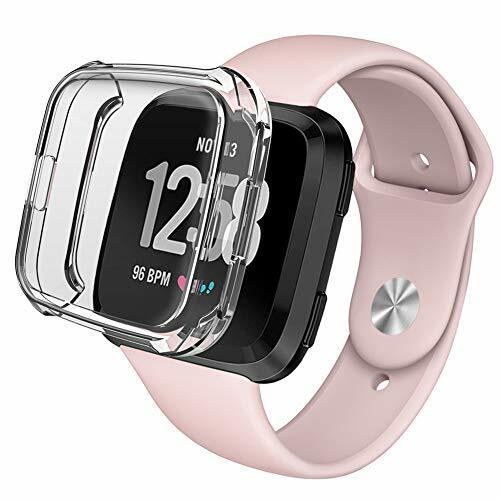 Be full of confidence to get yours as there is replacement or fully refund as the case may be if there is any problem with the product. 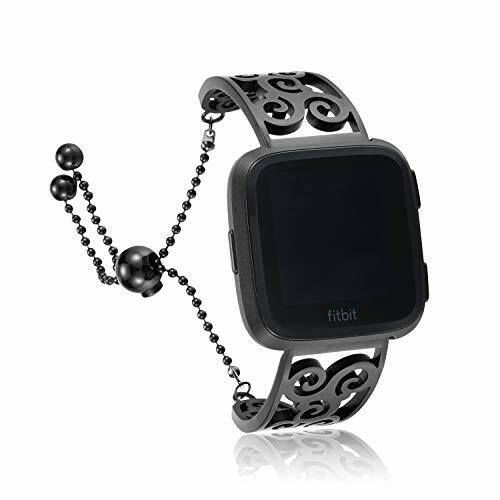 We can assure you that you'll get full attention if you have any complain about the product. 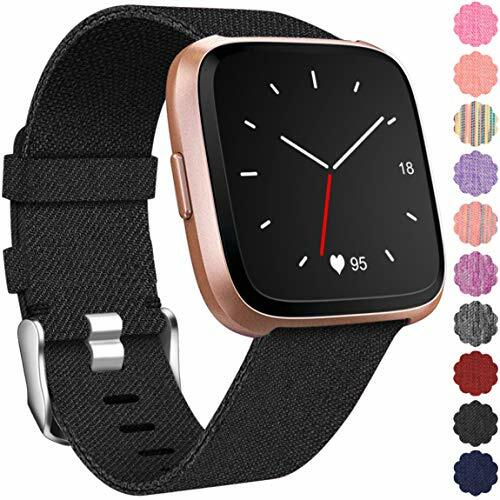 CAVN Replacement Fitbit Versa Silicone Sports Bands with cooling holes design is suitable for women, men, boys and girls in sport, business, daily life and party. Small Size fits for 5.5"-6.8". 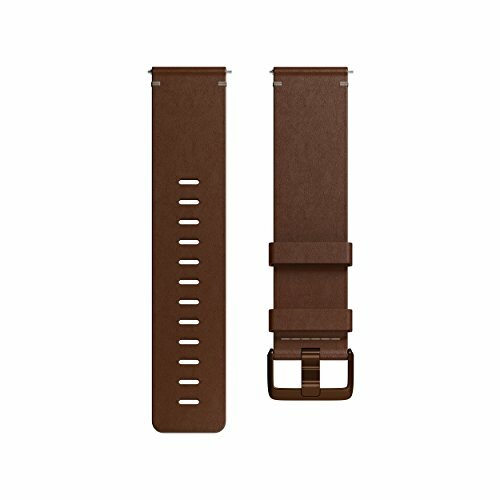 Large Size fits for 6.8"-8.9". 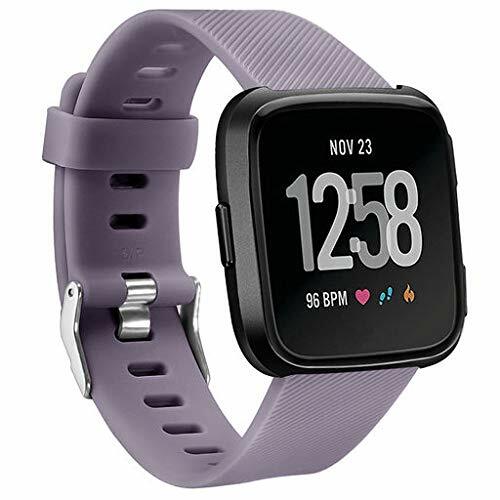 These Fitbit Versa Silicone Bands are built from durable and soft silicone to bring you comfortable wearing experience. 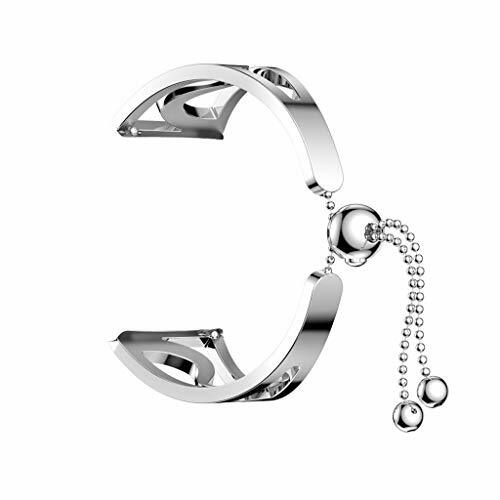 It is a great idea as an exquisite and shiny gift for any occasion. 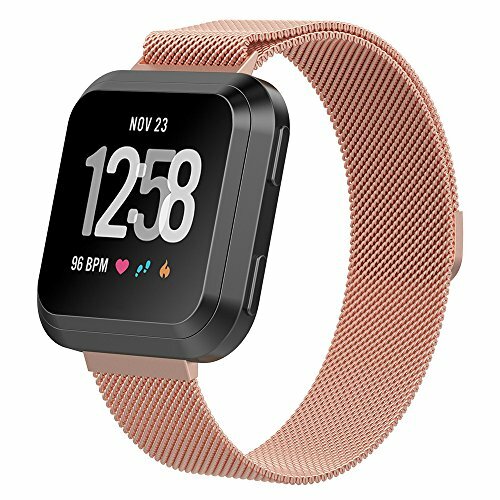 Multi-color Available: This Fitbit Versa silicone sports band in red/black, you can make up your Fitbit Versa Bands to match your mood and to bring multiple possibilities to align with your dressing and style. 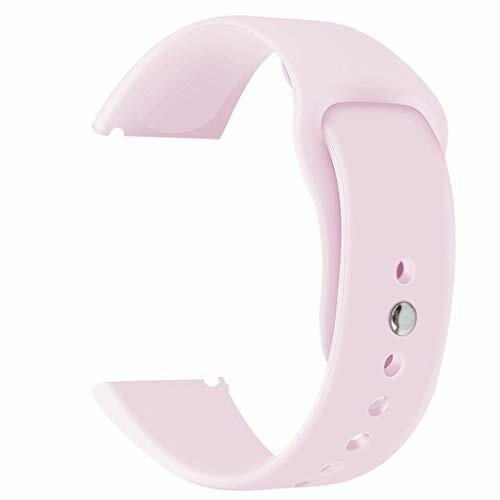 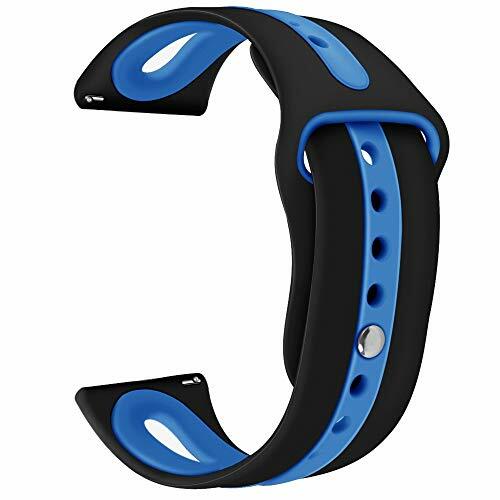 Easy to install and adjust the size according to your wrist. 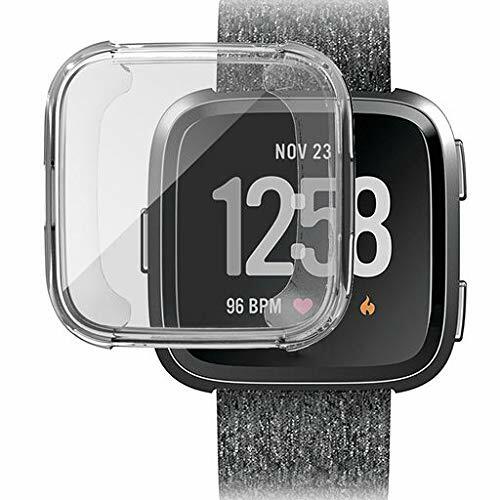 These silicone bands for Fitbit Versa in ventilation holes design makes it wear cool and dry after you sweat during the sports. 24 Hours Quick-reply Customer Service: If you have any questions and issues in using CAVN Fitbit Versa silicone bands, just feel freely to contact us via Amazon message. 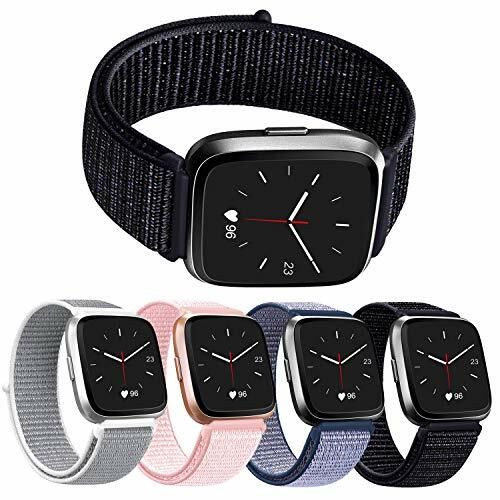 We will resolve your issue at first time. 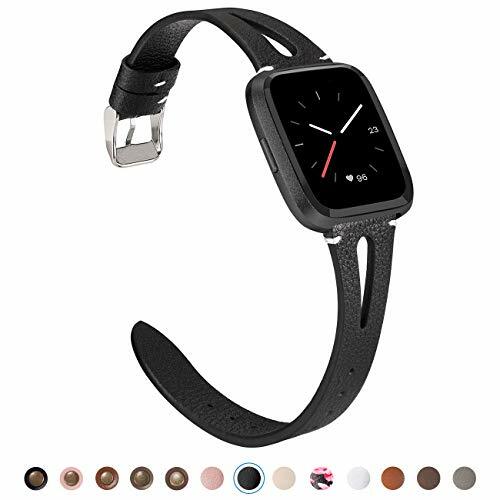 High-quality leather strap, become soft, make your more wearing more comfortable. 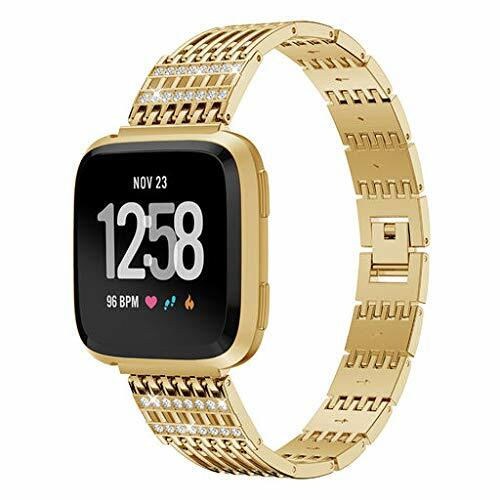 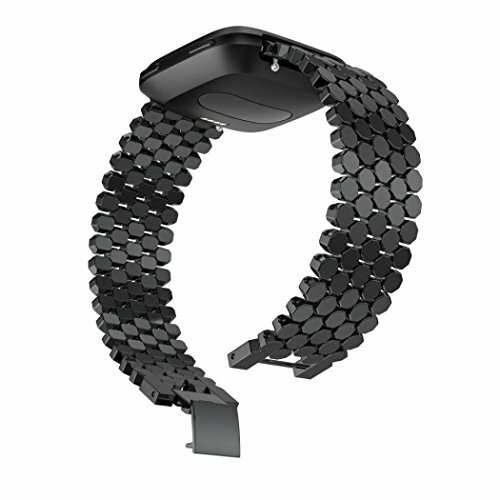 The replacement bands for fitbit Versa comes with metal clasps on both ends, which locks onto the Charge 2 smart watch interface precisely and securely.No worry about falling off your precious fitbit. 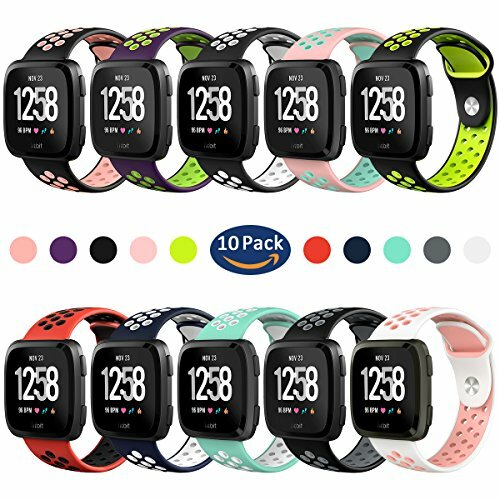 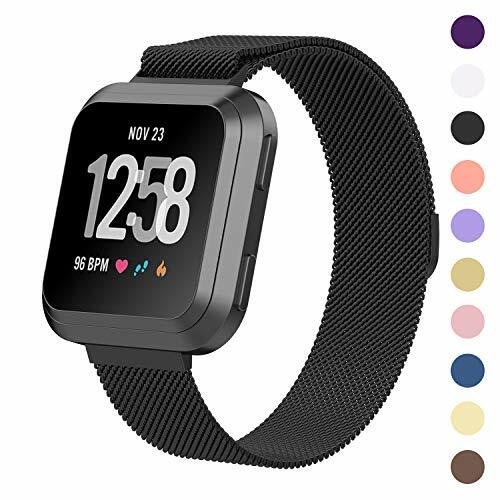 Kmasic Sport Band Compatible Fitbit Versa, Soft Silicone Strap Replacement Wristband Fitbit Versa Smart Fitness Watch. 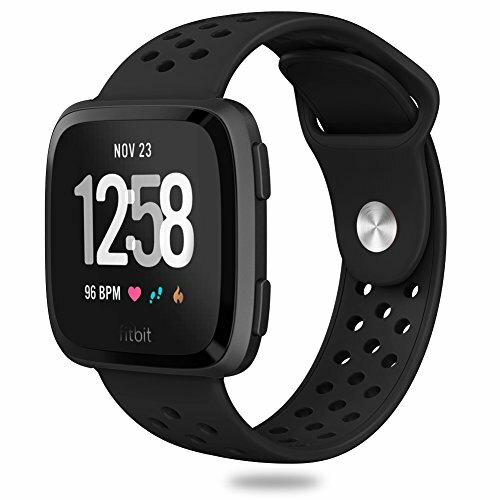 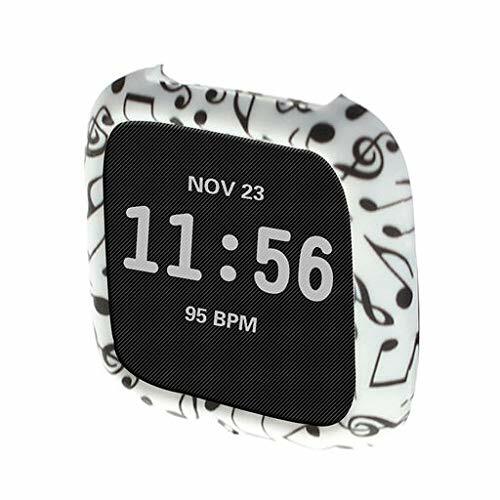 Compatible for Fitbit Versa. 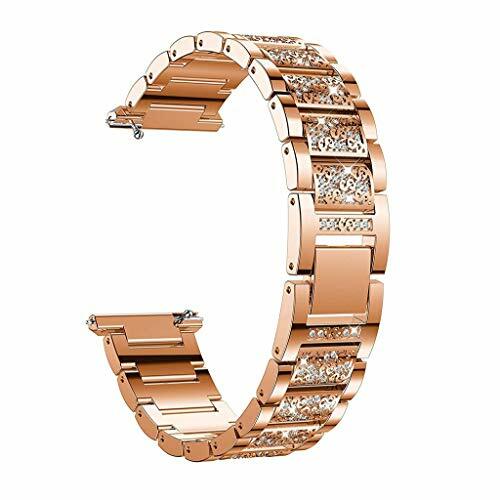 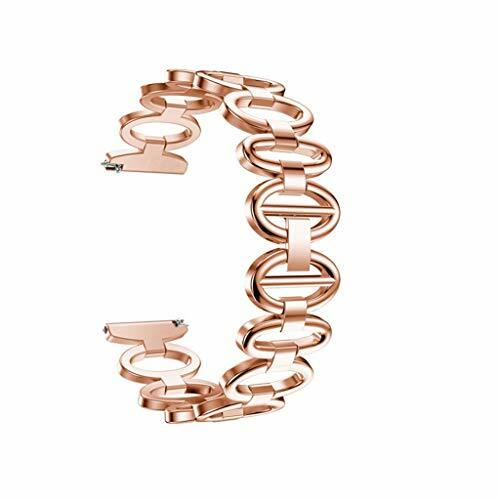 Premium stainless steel material,stylish delicate and elegant looking. 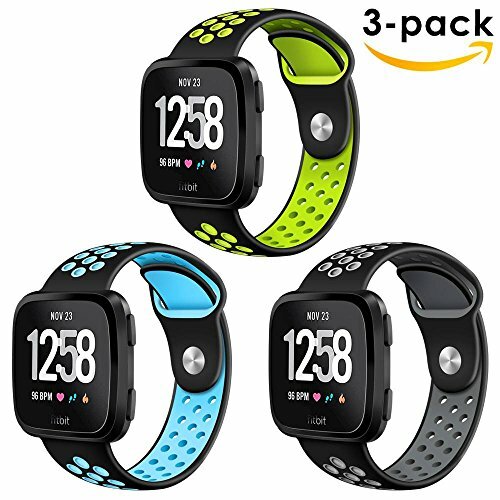 3-Pack CAVN Fitbit Versa Silicone Sports Bands with cooling holes design is suitable for women, men, boys and girls in sport, business, daily life and party. 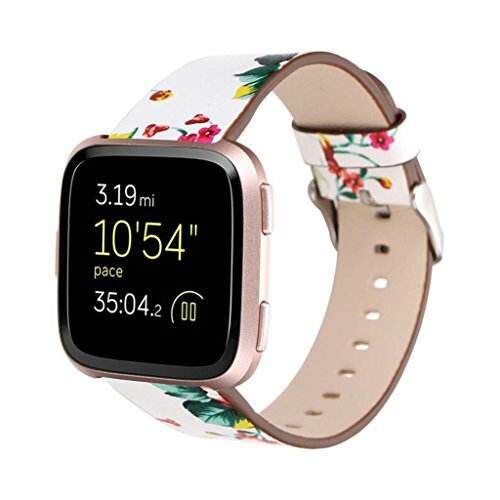 Small Size fits for 5.5"-6.8". 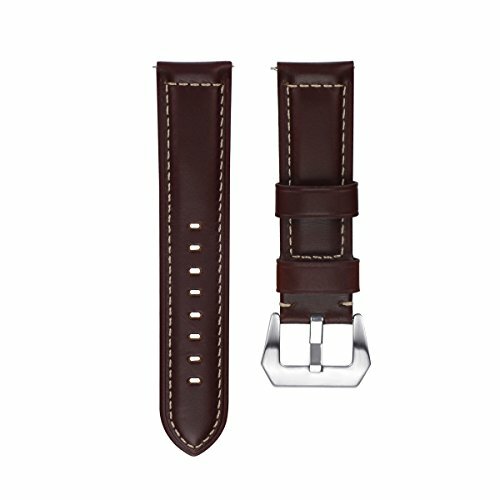 Large Size fits for 6.8"-8.9". 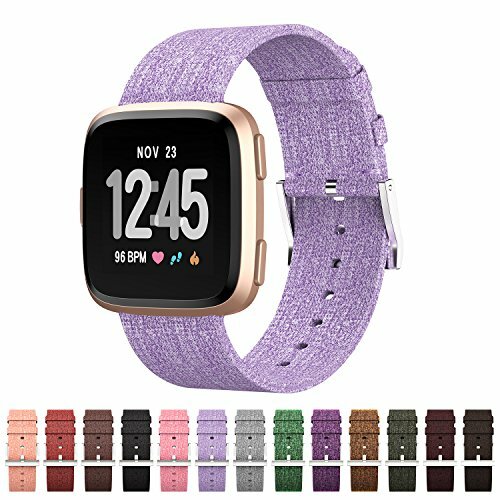 Multi-color Available: coming with Fitbit Versa silicone sports bands in 3 different colors, you can make up your Fitbit Versa Bands to match your mood and to bring multiple possibilities to align with your dressing and style.